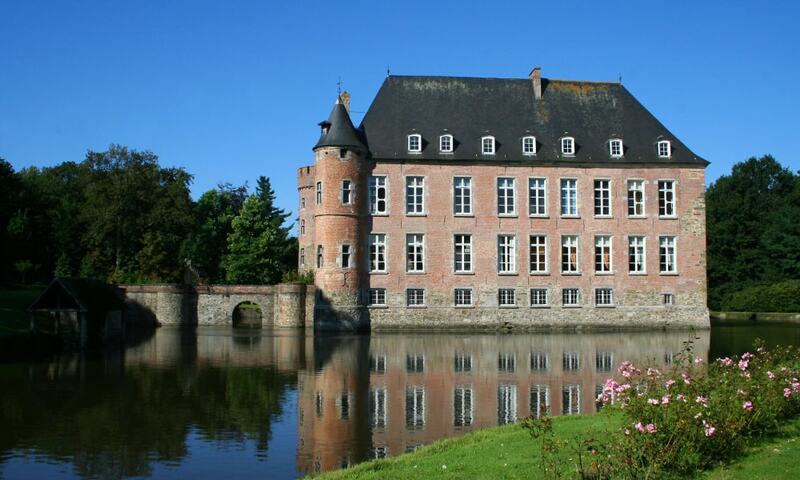 Braine Castle was built in the beginning of the 13th century by the lords of Trazegnies, owners of the domain, in the form of a squarish castle in the middle of a marshy area; the castle was surrounded by a triple barrier made by the marshes, the rivers and the moats. In the 16th century, the castle was made less defensive and more pleasant to live in by suppressing the southern wing and increasing the size of the windows, allowing the sun to light the rooms. The castle was burned in 1667 and revamped in 1681, with the addition of a monumental gate. Count Eugene Gaspard de Robiano purchased the castle in 1835 and his descendants still live there.